This new concept in group networking gives incredible power and flexibility to NHS network administrators at no cost to them. 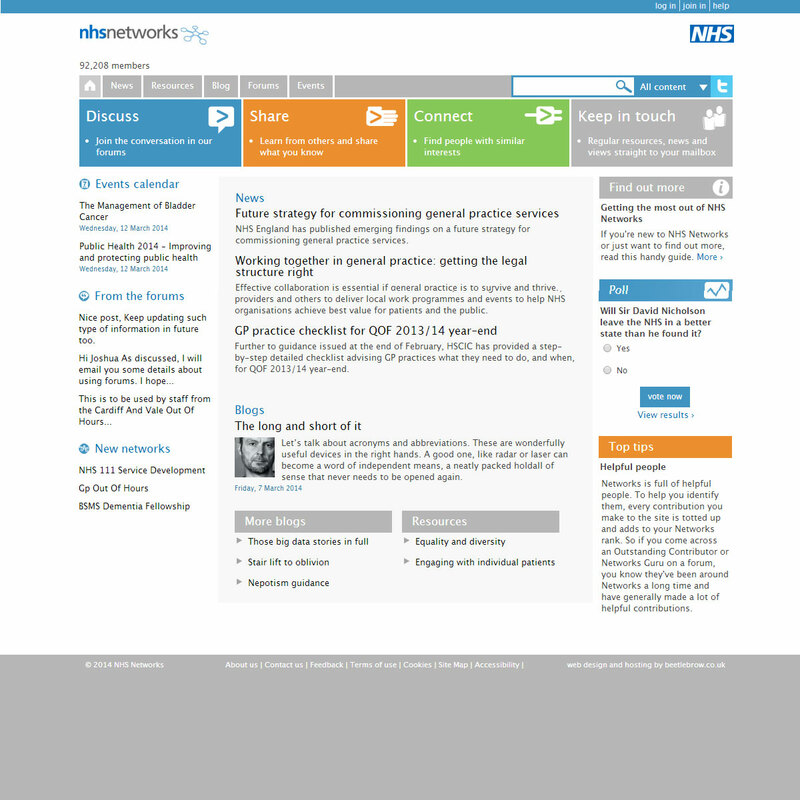 NHS Networks required a site which would allow individual networks within the NHS (a network is a formal or informal grouping of NHS staff outside the structures provided by the NHS) to create and manage their own web site within the top level NHS Networks framework. Further discussion convinced us that this was a perfect fit for Zope and Plone. What we have produced is an immensely powerful platform that allows adminstrators of a network to create a web site in three minutes, while allowing them to add all kinds of functionality, such as forums, blogs, news stories, event notification, galleries, videos, podcasts etc. very simply indeed. To commission a web site with all these goodies would normally cost many thousands of pounds, but all this is available to an NHS network for free.